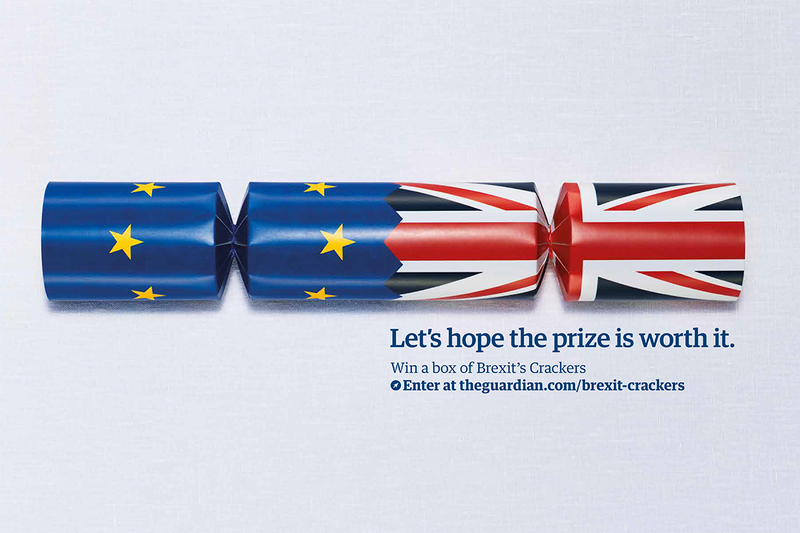 The U.K.'s Guardian newspaper changed its format from Berliner broadsheet to tabloid earlier this week, and to communicate the changes, a new campaign breaks today based around the concept of "space." A spot and several print executions, created by Karmarama, superimpose a white block (representing the new tabloid size of the paper) upon various images representing topical issues such as pollution, sexism and austerity: there's a plastic bag floating in the sea, a homeless man on the street and President Trump giving a press briefing. 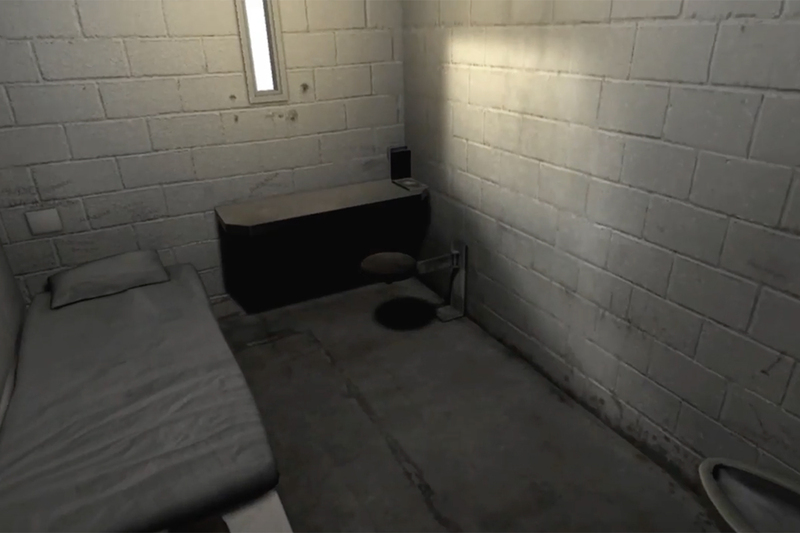 In the commercial, a voiceover talks about making "space for the things that matter." We're told The Guardian gives us "space for the unheard; space for hope; space for big ideas." 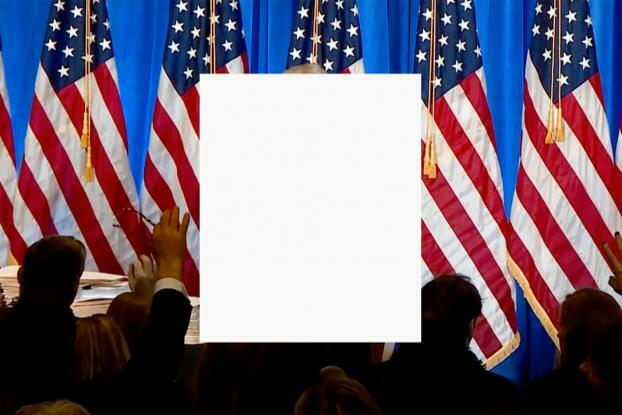 Print ads are based around the same theme, with the tabloid shape blotting out Trump's head in the Oval office, a black and white image of a boardroom full of men and the bag in the sea. It's topical, but while the campaign does a good job of communicating the new size, it seems a little bland in comparison to previous Guardian work such as "The Three Little Pigs"--and recent campaigns from the likes of its U.S. rivals such as "The New York Times." 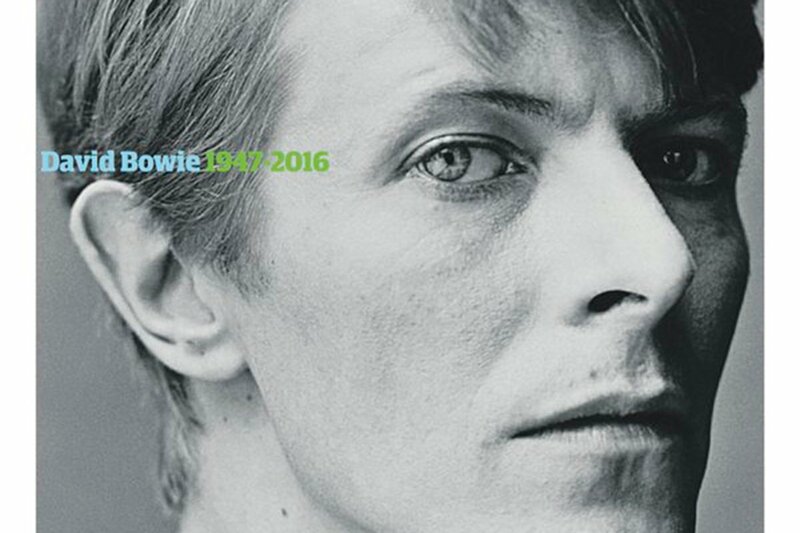 The campaign will run across OOH, video, cinema and social into February. 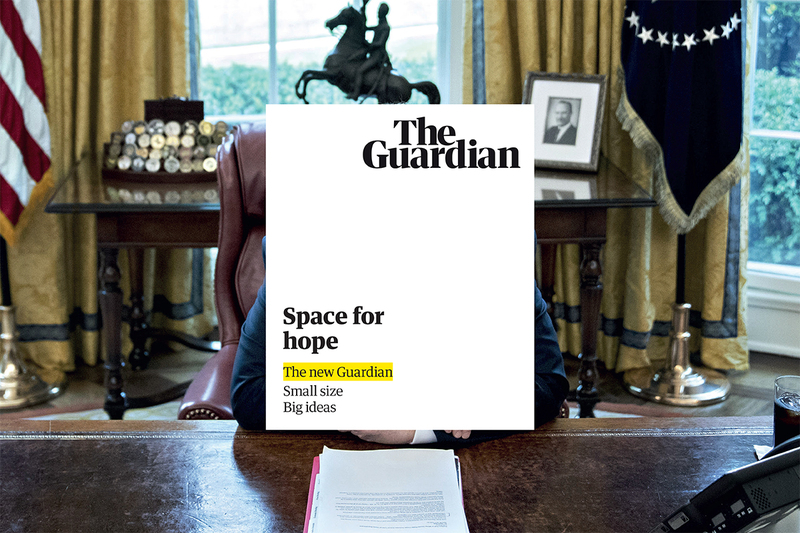 As well as changing to the tabloid size, a move aimed at saving several million pounds in printing costs, the Guardian is also redesigning its digital products, with a new masthead, redesigned color palette, and a new font, called "Guardian Headline," created in collaboration with design agency Commercial Type. The online publication still has no paywall, although for the past year has made a concerted campaign to ask for voluntary donations.